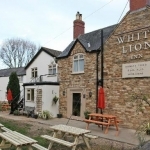 Located in the heart of the village White Lion Inn boasts a bar, restaurant and function room. 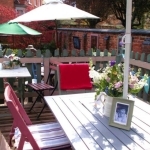 The inn has a garden, pétanque court and tables for outside dining as well as a large car park and secure storage facilities for bikes and fishing equipment. Whissendine windmill supplies flour to local bakeries, including the award-winning Hambleton Bakery. 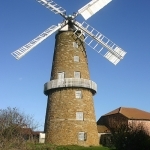 If the windmill is closed, the flour can be bought from Whissendine’s village shop as well as from Hambleton Bakery outlets. 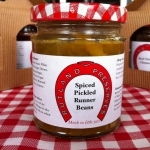 Rutland Preserves produces traditional jam, marmalade, relish, chutney and mustard from Main Street, Whissendine, crafted in small batches using the finest locally sourced ingredients. 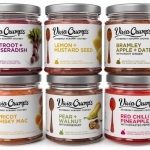 For a list of stockists, please see the website. The following list of food outlets has been generously supplied by the Great Food Club, your guide to the best Midland’s food and drink. Membership to the Great Food Club is free. Simply sign up, receive a membership card then use it in the restaurants, pubs and food shops featured on the Great Food Club website. 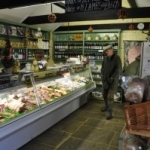 Small but perfectly formed, Northfield Farm is an oasis of first-class steaks, top-quality sausages, award-winning pies, fine local ales, fresh bread and rural charm. Sloeberry Spirits produces exquisite bottles of fruity spirits including flagship product Melton Mowbray Sloe Gin, Whisky & Wild Damson, Vodka & Blackberry and Gin & Raspberry. 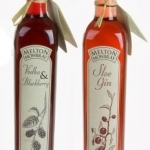 The Melton Sloe Gin and the Gin & Raspberry have won Gold Stars in the UK Great Taste Awards. Hambleton Bakery was named Britain’s Best Bakery in an ITV1 competition that aired in November and December 2012. 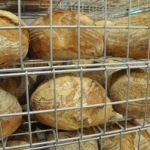 Its team of passionate bakers makes traditional, artisan bread and pastries, which are sold in five outlets – its HQ in Exton, Stamford, Oakham, Market Harborough and West Bridgford. 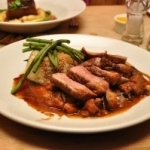 A traditional country pub serving outstanding seasonal food and good beer. Expect starters such as Lincolnshire Poacher soufflé, followed by the likes of rump of lamb served with aubergine and tomato casserole, rounded off by apple and blackberry crumble or a cheeseboard comprising Lincolnshire Poacher, Clawson Stilton and Somerset brie. Bat & Bottle specialises in importing unique Italian wines made by small, independent growers. Ben founded Bat & Bottle in Uppingham, Rutland, in May 1994 with his wife Emma, and his knowledge of his chosen field is hard-won, extensive and has its roots in genuine passion for the subject. 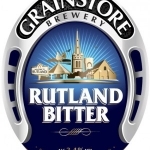 Rutland’s Grainstore is a brewery tap and brewery housed in a converted railway grain warehouse that is located – handily for a cathedral of award-winning real ale – next to Oakham train station. Recognised as one of Britain’s best brew pubs, the Grainstore has twice won The Good Pub Guide’s ‘Own Brew Pub of the Year’ award. 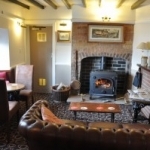 A thatched, cosy 17th-century building where the woodburner is always aglow on cold days and the beams in the bar are low enough to make six-footers duck or grouse, it does what all good pubs should do – provide a cosseting space where you can escape from the world. Buttercross House is situated in one of the oldest and most characterful buildings in Oakham. There’s a popular breakfast offering – including traditional full English, but also a vegetarian option featuring homemade hummus, feta cheese and poached eggs. There’s around six sandwich choices every lunchtime, such as chorizo, vine tomato, mozarella and pesto melt on toasted ciabatta. The café also has a small but evolving evening menu and wine list. The little clue in the name means there is a strong emphasis on smoked foods. 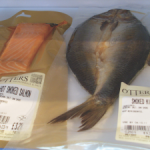 Leo has a long connection with the excellent Pinney’s of Orford (located on the coast near Ipswich) and is bringing in a range of its produce under the Otters label, from smoked prawns to duck breast. Pinney’s smokehouse was established in 1959 and still smokes over whole logs rather than chippings. Red Tractor-assured 250-acre Flitteriss Park Farm near Oakham is home to 600 sheep, 40 calves and 10 Gloucester Old Spot sows. The man in charge of the land and animals is 25-year-old ex-Oakham School boy James MacCartney, whose family has farmed here since 1939. James is passionate about farming and loves his work, especially selling directly to the public. So every Wednesday and Friday you’ll find him at Oakham and Uppingham markets respectively, selling Flitteriss Park lamb, sausages, bacon, burgers and more. 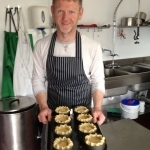 The Rutland Charcuterie Company is owned and run by Nick Brake from his family home. Nick’s passion is making British charcuterie with free-range meat sourced from local producers. Specialising in Stilton and local cheeses, but stocking more than 120 varieties, The Melton Cheeseboard is a traditional cheesemonger in Melton Mowbray. The Melton Cheeseboard is committed to supporting local producers and each cheese displays its own food miles on a label. 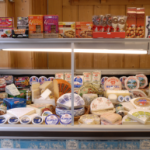 Its policy is to source cheeses directly from the dairies, including the complete Long Clawson range, Cropwell Bishop Stilton, Lincolnshire Poacher, Godminster Organic Vintage Cheddar, Bertelin Staffordshire Farmhouse Cheese, Shorrocks Lancashire and Sparkenhoe Farm Leicester. 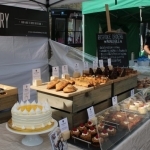 Emma Finden-Crofts is a classically trained pâtissier who creates modern, elegant pastries and desserts and sells them at Rutland and Northamptonshire farmers’ markets and food festivals. She learnt her trade working in professional kitchens in London, including The Wolsley. She combined her hands-on training with a patisserie diploma and then set up Lotus Bakery in Rutland in 2015. 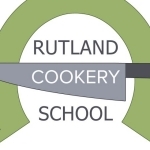 Based just outside Oakham in purpose-built kitchens, Rutland Cookery School caters for beginners, intermediate and advanced cooks, and offers an array of courses from bread-making to vegetarian, sushi to marmalade, knife skills to food photography. Gift cards available, too. 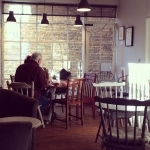 Just off from the busy marketplace in Oakham lies this classic English tearoom. It’s a haven of tranquility from breakfast to teatime. A big draw when the weather’s fine is the beautiful rear garden, something that sets the place apart. But the pretty and well-thought-out interior and excellent food are the biggest reasons to visit.